The gun laws in California include many measures that liberals want to institute on a federal level, including universal background checks and prohibitions on most assault weapons. The Law Center to Prevent Gun Violence in its annual scorecard last year gave California an A-, and said it has the strongest laws in the nation. The group noted that the state strengthened gun laws in 2014 by enacting numerous new laws, including the historic Gun Violence Restraining Order law. That law enables family members to ask a judge to remove firearms from a relative who appears to pose a threat. 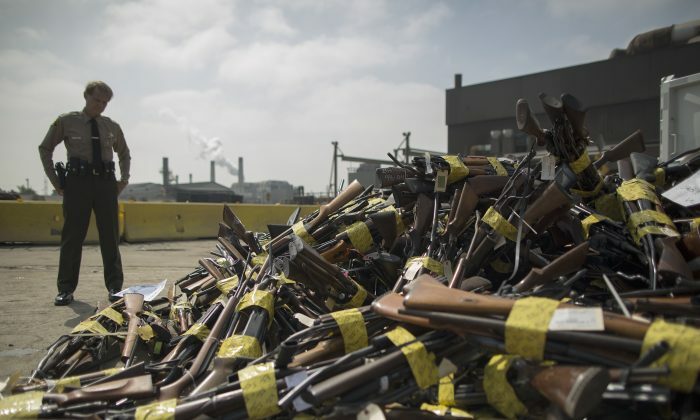 It was passed after officers were unable to confiscate weapons from a man who later killed six people near the University of California–Santa Barbara. The organization notes that California, among other measures, requires gun dealers to obtain a state license; it limits handgun purchases to one per person per month, and bans most assault weapons and .50-caliber rifles. There’s a 10-day waiting period while the dealer runs a background check. All four guns—two .223-caliber assault rifles and two semi-automatic handguns—were purchased legally, a spokeswoman for the Bureau of Alcohol, Tobacco, Firearms and Explosives (ATF) told Fox News. Syed Farook, who with his wife killed 14 people in San Bernardino on Dec. 2, bought the handguns, the spokeswoman said. A third person bought the rifles, which is under investigation. 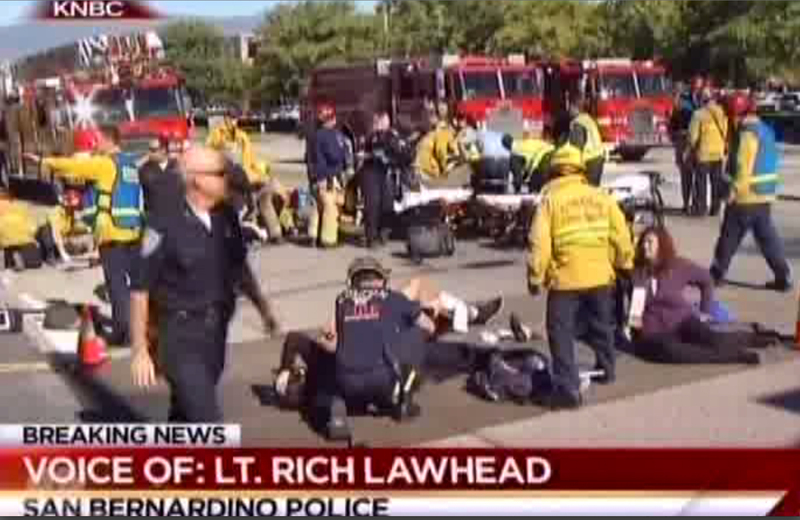 While California’s laws appear to ban the assault rifles used in the attacks, the laws in the surrounding states are much more lax and the rifles could have been purchased outside the state then brought in. There’s no evidence to support that theory as of yet, though. Gun laws in California allow the transport of guns into the state, but only by California residents. 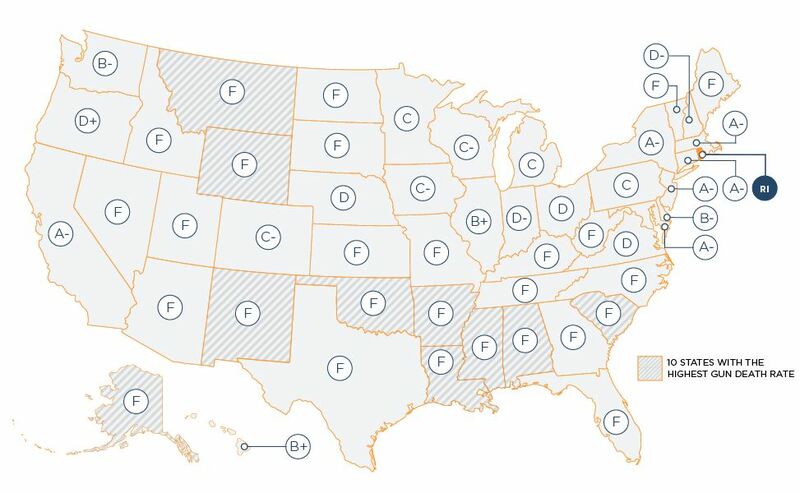 The law center gave Nevada, Arizona, and Utah “F” grades in saying they lack strong gun laws. Oregon received a “D+” grade. The ATF spokeswoman said that the rifles, a DPMS model and a Smith & Wesson MMP 15 model, and the handguns, manufactured by llama and Smith & Wesson, will be traced through their serial numbers. They were all bought four years ago. Even before the recent attacks, California Lieutenant Governor Gavin Newsom announced a new proposition that will be voted on by state residents next November. The proposition would further tighten gun laws, including adding background checks for ammunition purchases—a first in the nation. But, as the Atlantic notes, it’s unclear whether mass shootings can be wholly prevented by tougher gun laws. President Barack Obama announced on Dec. 3 that he’s looking into using executive action to close the so-called gun show loophole that lets some people buy guns without a background check. President Obama says that California shooting, which left 14 dead and 17 wounded, may be linked to terrorism but it's too early to tell.